Millions of people enjoy golfing in the United States and thousands play the game professionally. Clubs must make managing golf course grass and soil a top priority to ensure a high quality of play and good aesthetics. 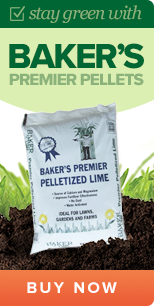 To assist in that mission, Baker Lime provides a variety of limestone-based products designed to aid in soil care. Mowing: Mowing a golf course is often demanding, as it must meet specific play requirements while remaining healthy and looking good. It must also be done when golfers aren’t on the green. Cutting too low can damage the grass, but an appropriate cut can encourage healthy growth. Fertilizing: Good fertilization programs are necessities for golf courses, as they can improve the overall look and health of the grass. 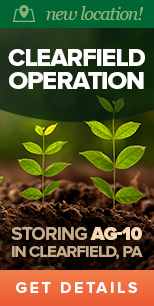 Proper fertilizer application can result in better root development, appealing color and dense growth. Testing soils: You need to understand your location’s soil qualities before implementing other maintenance plans. You should annually test the ground to ascertain its pH level, which can dramatically affect the grass in multiple ways. Conducting a pH test is vital for understanding the chemical composition of the ground. Your needs will vary depending on the grass species, but most tend to thrive when levels sit between 5.5 and 10. Lower numbers indicate higher acidity, which can generate a flurry of adverse effects. Foster soil microorganisms: Soil is more complicated than most people realize, as it relies on all kinds of microbes to function well. By liming the soil, you’ll produce a better environment for these little helpers, who falter in acidic environments. Golf course turfgrass can benefit tremendously from nitrogen fertilizer, and microbes can break them down quicker and release them into the soil. Another critical role they fill is the decomposition of thatch, which can create major disruptions to golf play. Increase resistance to disease: You must be constantly aware of turfgrass disease, as many strains can flourish in acidic soil and ruin the looks of your course. Lime will not cure preexisting conditions, but its help with pH balancing will nurture stronger grass that’s mostly free of defects. With greater immunity, you’ll be more likely to avoid nasty afflictions like pathogenic fungi. Prevent weed growth: Besides the obvious issue of being unsightly, weeds can impede ball paths and infuriate golfers who expect a well-manicured playing surface. Acidic soil can significantly contribute to the growth of difficult weeds like moss and Shepherd’s Purse. Adding lime will aid in prevention efforts. If you need lime for your golf course, Baker Lime has assisted customers throughout various industries for more than 130 years. We get our limestone from the heart of York, PA, and we’ve gained consistent praise for its high purity and particle fineness. You can purchase lime in multiple forms (pelletized, powder) and compositions to address your needs. 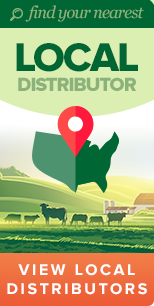 Contact us today with any questions!